There’s a reason why in the age of big cities, big companies and big data that the small town still exists. They are a reminder of the need for us to slow down, appreciate the simple things and bond with our community. Because even though people, things and information are available at the push of a button it doesn’t make us feel truly connected. In small towns the local grocery store is more than just a place to get food; it’s a place where people get together. A place you visit daily, not just to grab milk, but to chat with Tom from down the road about the local sports team or his trick for making the best grilled cheese sandwich. The outside of the Newmarket Vince’s Market store. 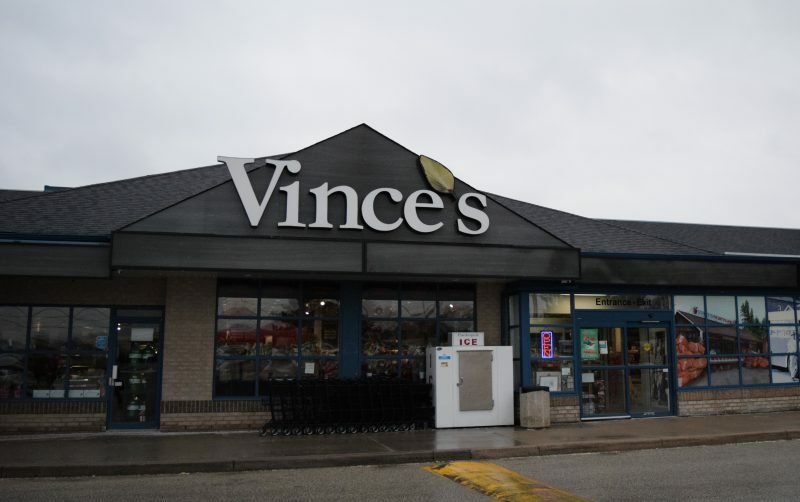 An independent grocery store that’s helping to create a sense of small-town community in a big city is Vince’s Market. With a few stores scattered across the GTA, they’re known for their mix of fresh produce, good food and the kind of service that makes you feel at home. 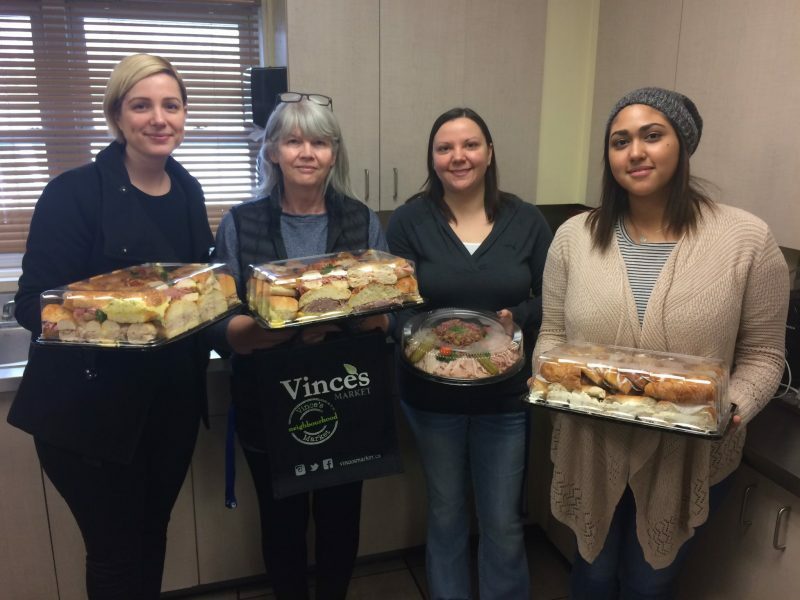 One way Vince’s Market gives back to the community is with their #RandomActsOfVinces in which they deliver food to community groups such as shelters or the local fire station. Vince’s Market’s Maria delivering food to Blue Door Shelter for #RandomActsofVinces. Even their customer appreciation program, The Coterie Club, is structured in a way that gives its members the feeling of being part of a close-knit community. Every week, members receive a text message (or email) letting them know the item of the week that’s on special. They’re also very engaged with their local community on social media, sharing in-store specials, often featuring their employees’ picks of favourite food items or recommended gift cards for the season. The products that line their shelves are also a group effort curated by department teams, not just a lone buyer. Sessions are held with vendors to learn about the product, and most importantly taste it. This helps the employees working on the floor connect with the food in store, because if they’re passionate about the product from the beginning, it will come through when they’re talking to customers. Stephen, one of the many friendly and helpful staff at Vince’s Market. Specifically, the cheese selection at Vince’s Market is a great example of their commitment to catering to the community’s needs. Their deli features cheese sourced from around the world, across Canada and of course locally within Ontario. Organized by variety, Vince’s Market has a regular line-up of favourites always in stock, and will add special cheeses to complement seasons or holidays. For example, in October they highlight a lot of German cheeses for Oktoberfest. 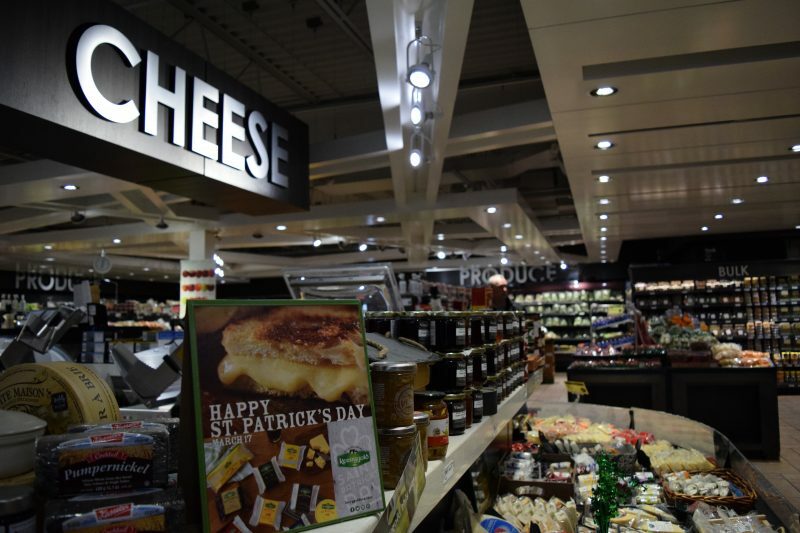 And for St. Patrick’s Day they highlight Irish cheeses, such as a beer cheese and Guinness Cheddar. During the winter months they stock more English cheeses—cheese with cranberries, apricots, and mangos—since those are popular during the entertaining season. The front cheese display. This month’s feature was Kerrygold Cheese in celebration of St. Patrick’s Day. 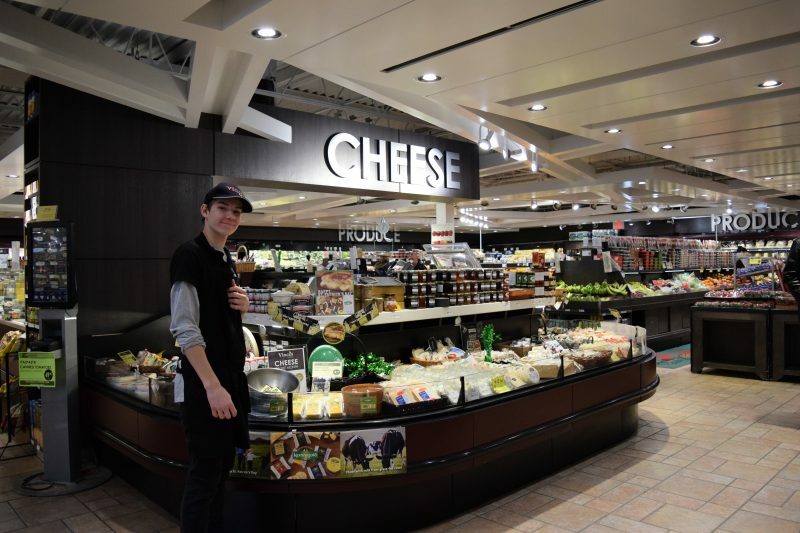 A great new addition to the Vince’s Market deli is Bothwell Cheese, selected for its unique variety of flavours, and commitment to using quality ingredients like 100% pure Canadian milk. Their must-try flavour of Bothwell Cheese is the Red Wine Extra Old Cheddar, which pairs nicely with a meat like a salami and crackers. The red wine flavour and the texture of the Cheddar go well with the salty meat, and the cracker adds nice substance. A fine line-up of Bothwell cheeses. But of course, the best way to enjoy cheese is with friends. Just like within a community, variety is what creates a perfect cheese board. So mix textures and create a range of flavours from light to strong. To add the right combination of textures to the board, always include a soft, hard, and creamy cheese. 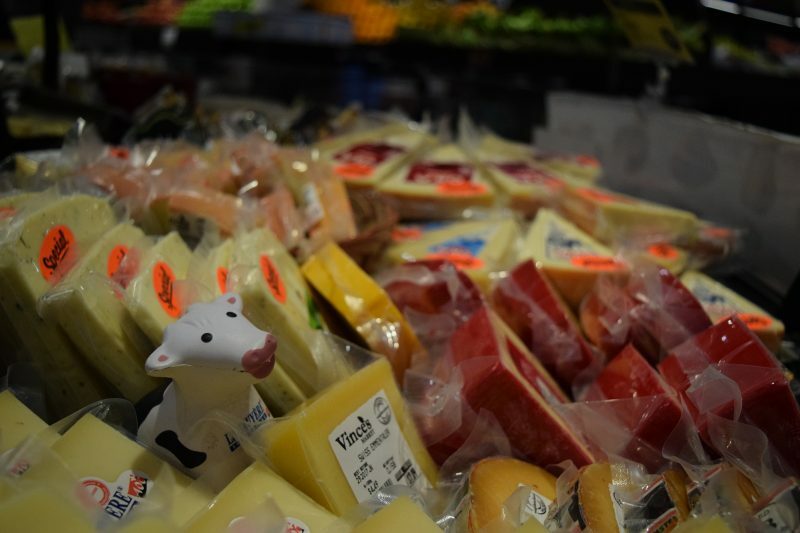 A little friend hidden among all the delicious cheese. A classic cheese board includes a soft cheese like Brie or Camembert, a hard cheese like Parmigeno Reggiano, a classic Cheddar, and a strong flavour like Blue Cheese. Paired with some simple water crackers and nuts like walnuts and almonds, it’s the perfect dish for sharing. Remember, it’s the little things that bring people together. 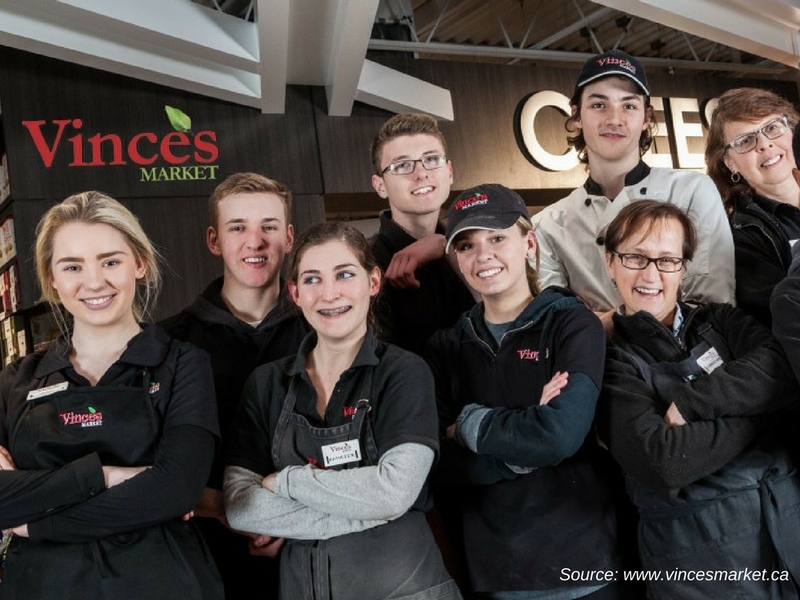 So take a page from the Vince’s Market book and make it a priority to spend time with the people in your community. Just make sure there’s plenty of cheese for everyone! 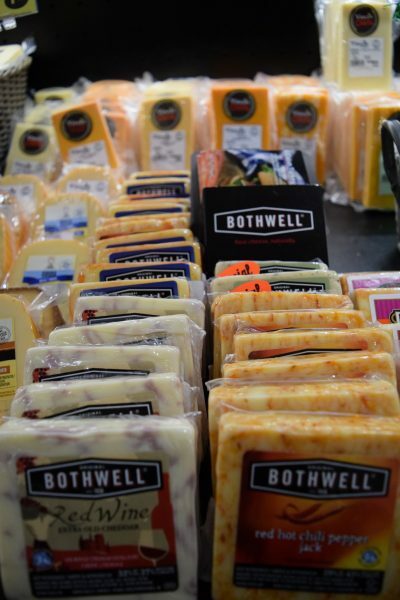 Bothwell Cheese will be sampling at two Vince’s Market locations this weekend.